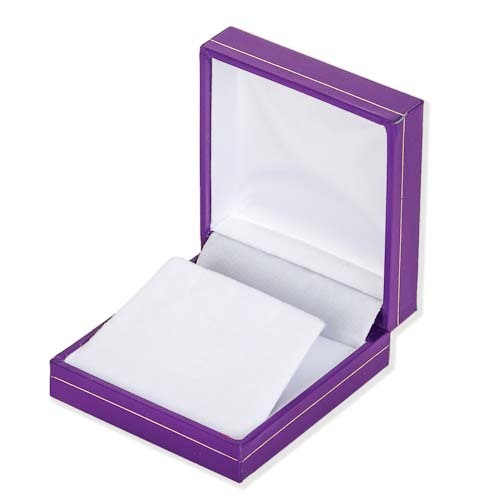 This Pretty Purple Drop Earring Small Pendant Box looks fantastic and presents our Small Pendants & Earrings Beautifully so it really helps to increase your Sales. This Pretty Purple Drop Earring Small Pendant Box has a Hinged Lid with a lovely white flock inner which sits up at an angle to display your earrings. It is 62mm wide by 67mm long & 25mm deep. This website is strictly for approved Wholesale customers only, if you are looking to buy this Pretty Purple Drop Earring Box from a retail store, please visit Shooting Star. Nice hand made Mystic Topaz Large Pendant. This Lovely Mystic Topaz Large Pendant has a beautiful 17mm x 22mm teardrop cabochon which is full of colour & a pretty setting which allows the light to reflect the beauty of the crystal. It is approx 3 1/2cm incl bale. BEST SELLER! Hand Made Opalite Small Oval Pendant. This is A Lovely Silver Opalite Small Oval Pendant which has a Pretty Cab of approx 18mm x 12mm and it is 3 cm incl Bale. It is set in a simple Surround to really show off the full beauty of the Crystal. Matching Earrings & Bracelet also in stock. BEST SELLER! This Beautiful Medium Size Silver Dreamcatcher Necklace. It is a Sterling Silver Dreamcatcher Necklace and has a Pretty Turquoise Bead in the centre & a Small Silver Detailed Feather hanging down from the bottom centre of the Dreamcatcher. Finished with a very high polish and approx 1 1/2 cm x 4 cm it comes on a Dainty Sterling Silver 18 inch Cable Chain. Matching Earrings also in stock. BEST SELLER! Nice hand made Mystic Topaz Large Earrings. These Lovely Mystic Topaz Large Earrings have beautiful 18mm x 13mm teardrop cabochons which are full of colours & they are just approx 4cm long incl hooks. BEST SELLER! Nice hand made silver Amethyst Triple Drop Ring. This Amethyst Triple Drop Ring has 3 lovely cabochons. In the center is a large 10 x 8 mm oval with a 4mm round above & below it. It also has three silver bands one going to the left side of the top crystal, one going to the right of the last crystal & one which meets both sides of the center crystal, giving a lovely off set look which looks stunning when worn. It comes in sizes: Small (Size 6 / L/M) Medium (Size 7 / N/O) Large (Size 8 / P/Q) & X Large (Size 9 / R/S) BEST SELLER!